The wedding of Jeremy and Jinger was today. It was spectacular. There was a floral theme. Everyone dressed in bright colors and the wedding was held at a beautiful cathedral in Siloam Springs. Jeremy's father was the officiator. Jessa was the Maid Of Honor and looked quite stunning. As you all know, she is with child and she had the most darling baby bump. Jill, Joy Anna, and Jana were bridesmaids, while little Jordyn and Josie were flower girls. Marcus Duggar made an adorable ring bearer. The ceremony was simple and quaint. It began at 1:00. Jim Bob naturally gave his daughter away and after the ceremony made sure to let the young couple know to be fruitful and multiply! Jinger was a doll. She looked beautiful. She was a little stressed out about all of the people who had arrived. She wanted the wedding to be smaller, but of course in a family that large, small is never an option! Joshua was there as well, he didn't really speak to anyone unless spoken to. I can assure you the rumors of divorce are absolutely not true and he and Anna were just as loving with each other as they were on their own wedding day. Joy and one of her brothers were hanging around a young man... perhaps there is a courtship there? I certainly won't tell! I did find it a bit odd that a couple of people were wearing flannel and plaid. It simply did not fit with the theme of the wedding, but since this was Jinger and Jeremy's family and friends, I kept my lips sealed. The bride and groom leave tonight to make way to Austrailia. I am simply excited for them all!!!! Have a wonderful married life Jeremy and Jonger! Oh my Goodness I have been sitting on this news for some time now. I think its finally safe to announce? Jinger recently announced her courtship to a lovely young pastor named Jeremy Vuolo. I've had the pleasure of meeting him on several occasions, and he is a kind hearted gentleman who lives for the Lord. The engagement has become official, of course at this point its only restricted to the innermost family and friends. My husband and myself will be attending the wedding, while Nataleigh stays home and watches the younger children. Jeremy is a fine young specimen who should make Jinger a very happy wife, especially since Ben and Jessa have plans to move to Texas with Jinger so the four of them can live happy lives together. Ben is going to become the new youth pastor, what an exciting opportunity for him! I am excited to see what the next year has in store for Jinger and Jana! It certainly has been a while since we last spoke! I hope everyone is doing well. In the last year, we've added another precious addition to our family, with one more on the way. This time, we have added another boy, his name is Kalijah James. He is six months old. If our newest addition is a little girl, we will name her Ryleigh Patience. Only time will tell. Troy has found another great job, and he is doing well. Nataleigh is now ten and has told her father she wants to stay home and help me with the babies. He begrudgingly agreed because she does need to learn to become a mother and I have so many littles! Kaileigh is eight, and the sweetest doll. Baileigh is now nearly six! She's getting so big! I have her begun on her homeschooling, and I can't wait to see where she goes from here! Matthew is two and a half and such a sturdy young boy! Kymberleigh Dayton and Nathan are a year old and so sweet! I hope we can all catch up and have a grand time getting to know each other again! I am in the process of writing a new children book! I cannot wait to reveal it to you all! Josh admitted to molesting five girls. So if the girls have forgiven him, if Jesus has forgiven him, why can't everyone else? He has done nothing since the incidents listed. He is a good man and a good father. Stop trying to ruin his life and get on with yours. Tonight you all get to see what I saw at the wedding! Questions: Did Jim Bob actually get the storyline altered like he begged? You will know if he doesn't look shocked. Will I and my girls be there? I'll be sure to let you know if I see us! I hope you all enjoy watching Jessa's wedding tonight on TLC! I adore life. Its so sweet and simple. My husband lays his seed inside me and I can feel the life growing inside of me. It is a treasure. Yes, dear friends. After the birth of our twins I can know that I am again with child. This child will be a sweet treasure to us all. I know this to be true. We love to be with our dear children. You may ask how I can deal with seven children under the age of nine, four of them under the age of two... but it will be fine. I adore my sweet babies and each time my husband lays his seed in me, I can feel the new life fertilizing and beginning to sprout. Children are a blessing unto the Lord. Amen. We made stew for dinner. It was so good! 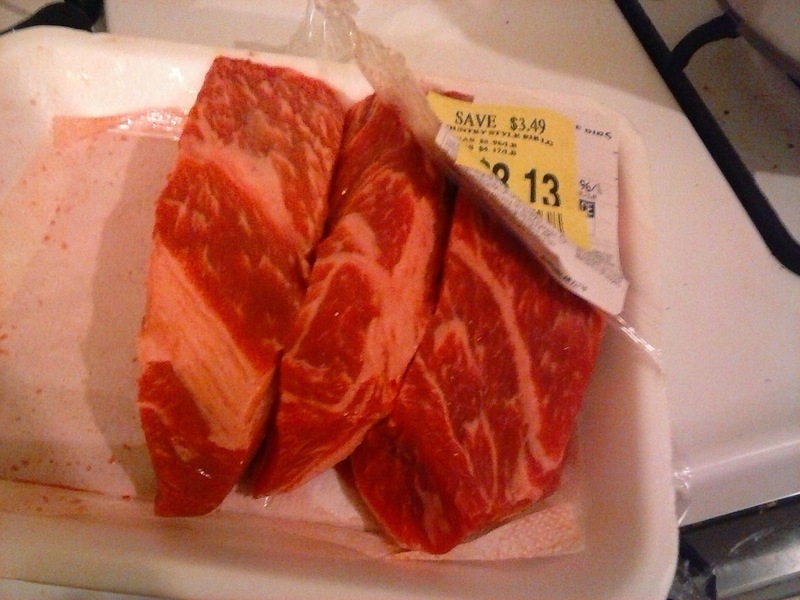 We found a great deal on boneless ribs. 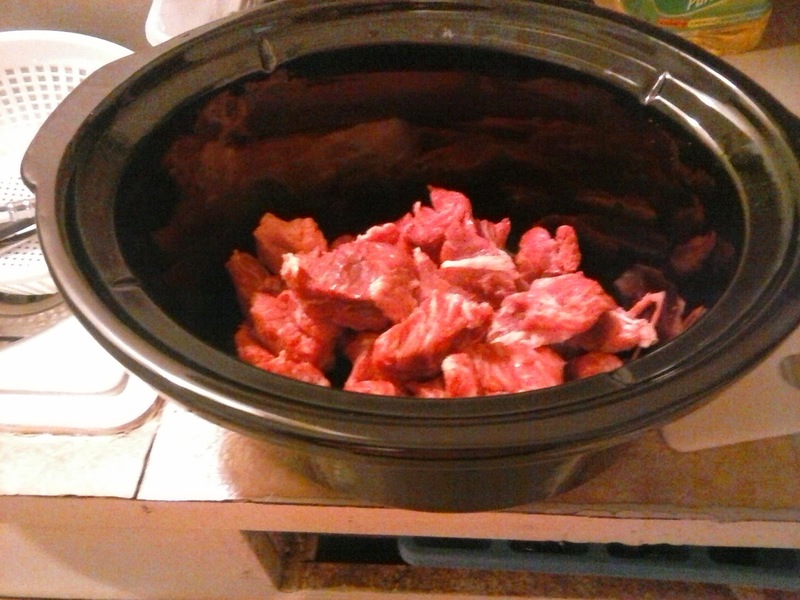 Cut the ribs into squares and throw them in the crock pot! 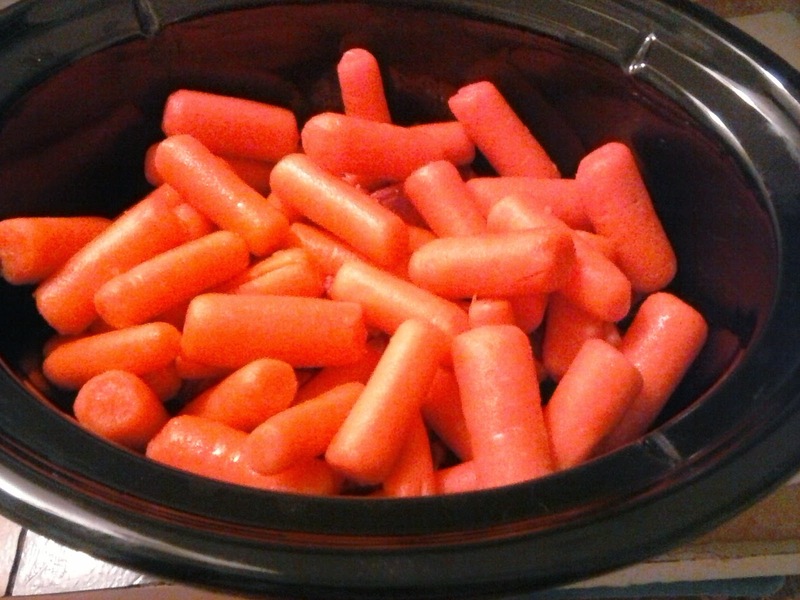 I felt lazy, so I bought organic baby carrots. Usually, we buy regular carrots and cut them ourselves. 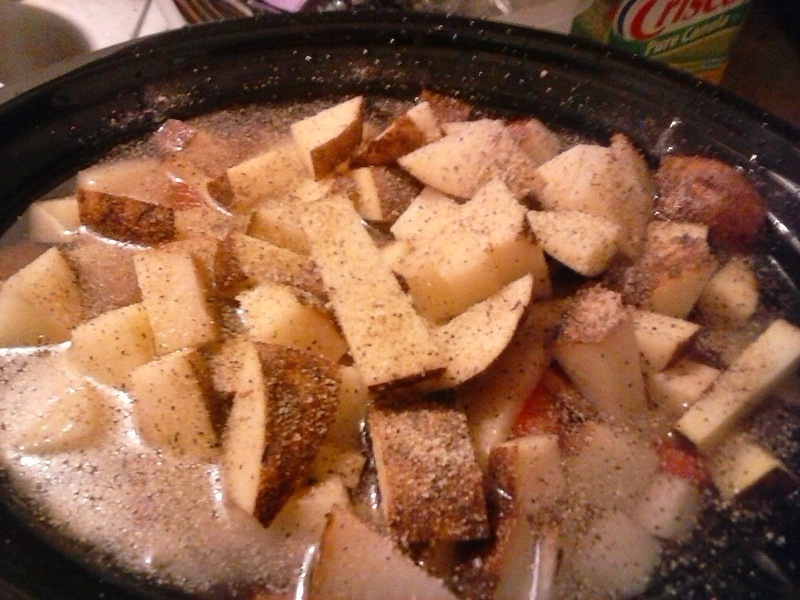 Then I cut potatoes and threw them in the pot, and added water. This is our favorite seasoning. 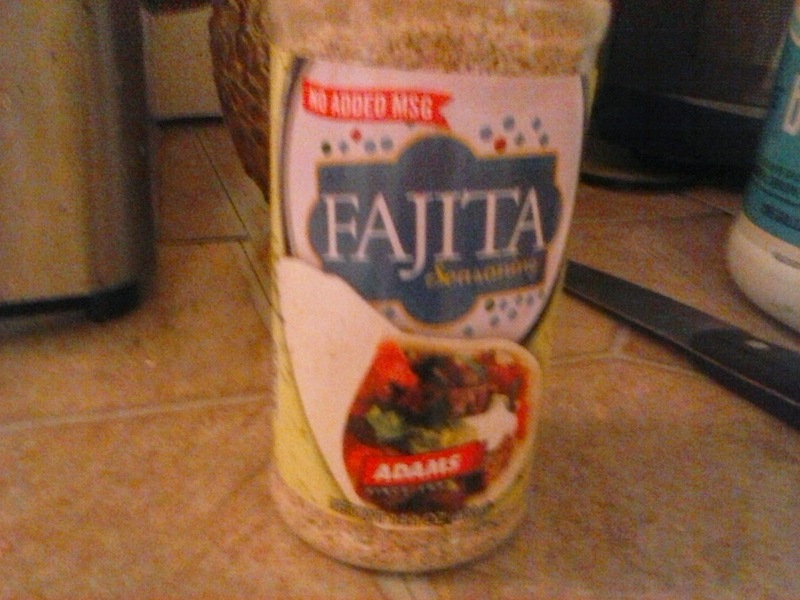 It is Adam's Fajita Seasoning. If you are outside Oklahoma, Texas, Mississippi, or Louisiana, you have to buy it online. Just letting you know. This bottle was about seven dollars, but it will last us at least six months. We use it on everything. Eggs, meat, stew, pizza, whatever we can think of! 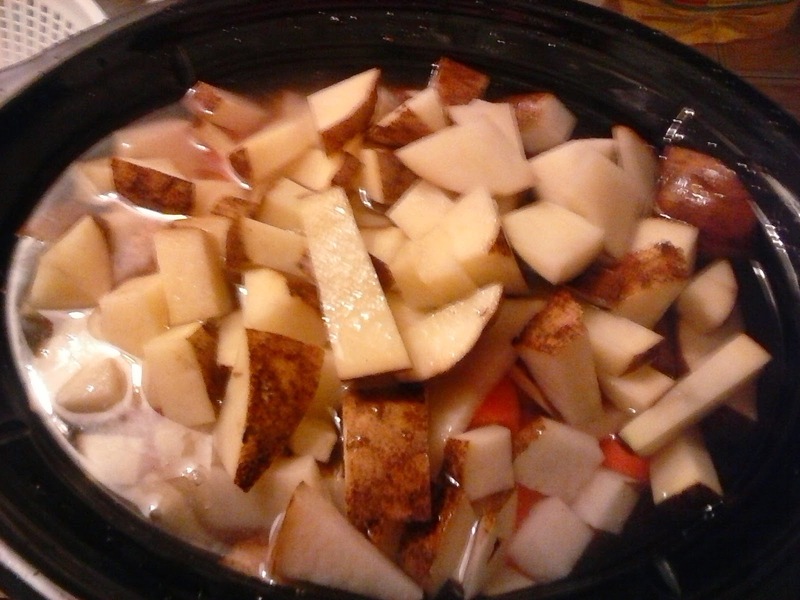 We put all the ingredients into the crock pot and let it simmer on low all day. We use a Smart Crock Pot, so I let it cook on low for ten hours, and then it switched to warm. By lunch the next day, everything was so tender and delicious. I would have taken a picture of the finished product, but it was so delicious, we just ate it right up! This usually lasts us about two days. Sometimes, I add an onion. I don't really like the texture of onions, so I usually add onion powder. 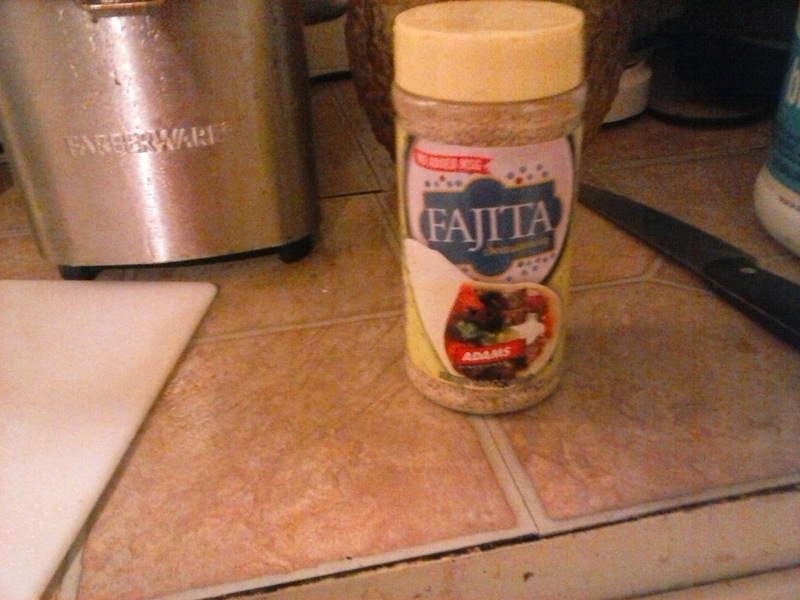 However, I wanted to put the Adam's Fajita Seasoning in it, and that covers a great deal of spices. No MSG's or hidden junk. Try it for yourself! I am sure you will love it! Bring The Stanley Kids Home! As you all know, I am originally from North West Arkansas. I don't live there now of course, but this story from Central Arkansas has my heart broken. Seven children, ages 16 to five, were taken away from their God Fearing Christian parents last week. A judge ruled probable cause. While reading comments about this story, I learned a lot. I learned that CPS can take your kids any time they want! I learned that the government is always out to get healthy happy children who's families follow the Lord and don't follow modern secular ways. My husband and I don't always see eye to eye, but we can at least agree that we are training our children to be soldiers of Christ, much like this family is! I reckon the government wants to do experiments on our children to find out why they are so healthy without being vaccinated, taken to doctors, and having essential oils used to cure ailments. I assume in this case that MMS was helping the kids grow and be smart, and the government didn't like that. We can't have children who grow up away from the system and think for themselves! Now, those poor children are in public school. Those girls are wearing pants. Why couldn't the government have had the foster family homeschool them? Why couldn't the government put them in a Godly institution of private school? I looked, and there is an independant baptist church in that town that has a school for Pre-K through 12th grade, and even college! Surely the government, who likes to throw away money, could have afforded to send seven kids to a Godly institution! This makes my heart bleed. I am so surprised with all I have learned. I cannot fathom taking children away from their parents. If it can happen to them, it can surely happen to any one of us. I am sure though, whether or not you agree with the circumstances surrounding this event, each and every one of us is holding our children a little tighter tonight, so grateful that we have our babies, sad that another parent does not have theirs. For more information, here is the facebook page for the Stanley kids.